Adding sub-metering into your estate is often the first port of call when attempting to better understand your energy usage. The ability to sub-meter different buildings, areas of a building or specific plant provides the foundation of a solid energy reduction strategy. Sub-metering can be difficult for some businesses to implement, due to 24 hour manufacturing, building layout or building fabric. But our unique blend of wireless and wired technology removes these headaches, and allows us to sub-meter estates that have previously been too difficult to cover. 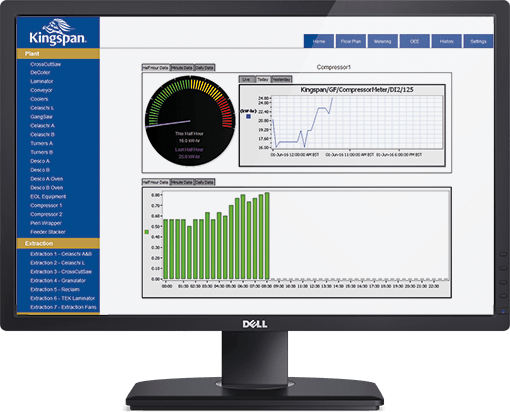 Your metering data is available on any network connected computer within your business. If you need any help, our remote bureau is on hand should you need it. Your browser connects to our live metering platform, designed & built on Tridium’s Niagara4 platform. This platform connects to all of your meters completely wirelessly. Your electric, gas and water meters are hooked into your energy consuming plant, monitoring the consumption as often as you like and pinging it back to our platform wirelessly. You can meter all sorts of things within your building. From plant and equipment, air-con units, wet heating systems or ambi-rads right through to specific buildings, areas or sections. What about data from my main incoming meter? I’m glad you’ve asked, because we’ve got you covered on that front too. Because the data from main incoming meters is collected from your distribution network operator (DNO), distribution aggregator (DA) or DC, we can only collect this once per day and display day +1/2/5 or 7 as required by you. Yeah, it’s unfortunate, but the level of granularity and frequency our sub-metering provides should give you plenty of options. Cabling in old building, particularly industrial buildings can be difficult. There’s often heavy plant & equipment that can’t be moved, not to mention the sturdy construction of older buildings. Wireless is often the only simple solution. Difficult cabling runs aren’t the only problem. Old factories and other aged buildings are often littered with asbestos and clearing these areas would be incredibly expensive. Using our wireless solution, it’s no longer an issue. Adding in sub-metering can sometimes mean breaking into power supplies that feed critical plant or machinery. In non-critical areas, we can do this no problem, but what if you can’t have a section of your factory out of action? Well, we’ve got you covered there too. We can meter using optical meter readers for a completely non-invasive solution. 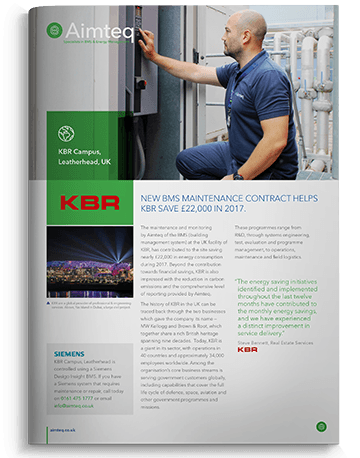 Reliable wireless metering can be a challenge, but with our four key steps, we can make it a breeze. Following an initial consultation, a member of our sales or projects team will visit your premises (multiple if required) to conduct a site survey and assess the feasibility of your requirements. Once the feasibility study and commercial aspects are complete and approved, our dev team will begin building your bespoke wireless metering system. From here our PM team take over, with remote assistance provided by the dev team. Once installed, each site will be commissioned and thoroughly tested again by one of our engineers. Once commissioned, the install will be formally handed over to you, and any training required will be delivered. Once development is complete, we thoroughly soak-test your system at our HQ to ensure everything works as it should. From here our PM team take over, with remote assistance provide by the dev team. Once installed, each site will be commissioned and thoroughly tested again by one of our engineers. Once commissioned, the install will be formally handed over to you, and any training required will be delivered.